Designing for the hotel and restaurant sector to enable them to acquire our select hamburgers in HoReCa format. Our burgers come in containers of six or eight individually vacuum-packed units. Another way to enjoy the intense flavour and excellent quality of authentic country hamburgers, prepared by chefs that contribute their personal touch and cooking style. Our classic hamburger made of 100% dehesa-raised heifer meat. 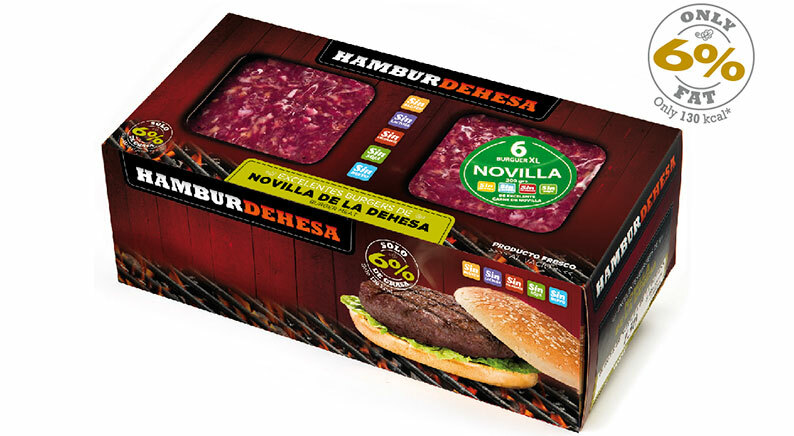 Our major innovation is to use this kind of meat in hamburgers, since it is rarely employed for this purpose in Spain. 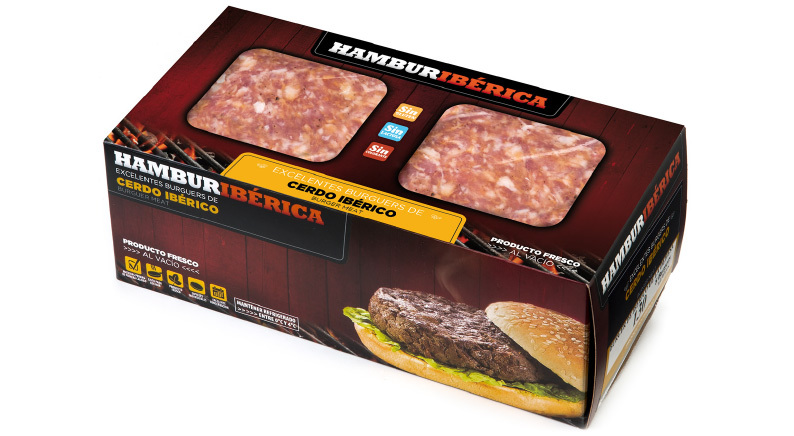 Top quality Hamburdehesa. They come in individually-wrapped eight-packs. 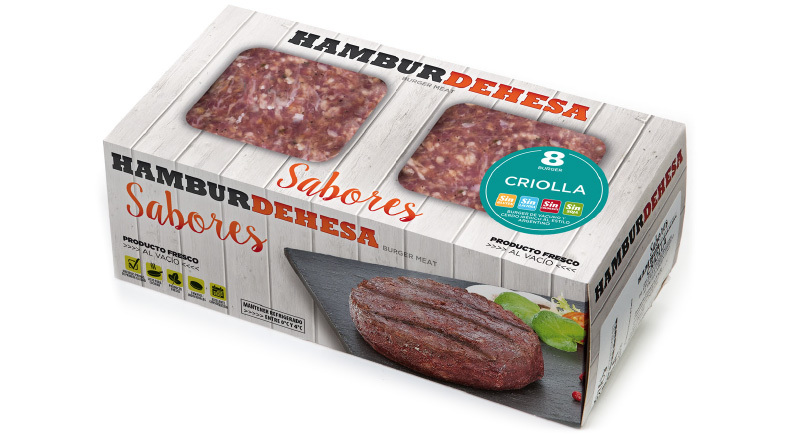 For Hamburdehesa lovers who always come back for more. We are launching the XL size so you can enjoy the exquisite taste of the 100% heifer beef from the dehesa even longer. HoReCa format: cases of six individually vacuum-packed burgers. 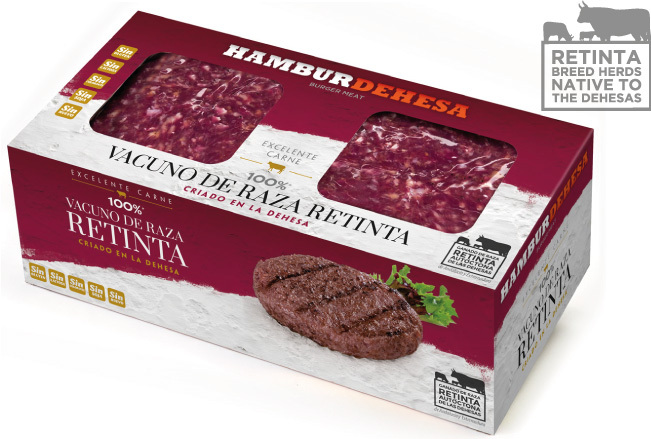 Select Retinta breed meat raised in the dehesas of Andalusia and Extremadura. Tender, tasty and of supreme quality. A premium burger which delights gourmet customers. It is presented in cases of eight individually vacuum-packed units. This breed is native to Scotland, from the region from which it takes its name, and spread through Argentina and the United States. It is in increasing demand in Spain by customers with refined palates and outstanding taste. It is characterised by its great taste and marbled texture. 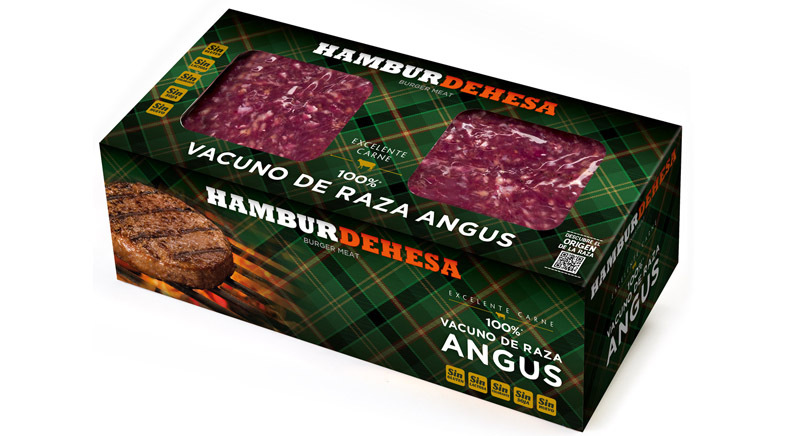 For the most refined Hamburdehesa fans. It comes in a case of eight individual packages. Made with the star product of Spanish cuisine: the Iberian pig. Iberian meats, tasty and textured with interspersed fat streaks. In HoReCa format they are available in cases of eight individually vacuum-packed burgers. Argentine-style mix of prime beef and Iberian pork. The juiciest burger, made with a selection of Creole-style spices: onion, fennel and an assortment of peppers. They come in cases of eight individually-wrapped units.